Nominate your ‘Researchers’ Choice’ to be in with a chance of winning a $250 Amazon voucher! The CiteAb Antibody Awards 2017 are now open, and now is your chance to nominate a company that has impressed you this year and to be in with a chance of winning an Amazon voucher for $250. The awards celebrate the very best suppliers and individuals in the research antibody sector worldwide. 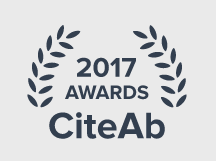 Six of the ten categories are awarded based on CiteAb citation data, the remaining four are open to nominations. You can see all of the categories and make your nominations here. This year we are placing particular emphasis on the ‘Researchers’ Choice’ award, a prestigious category that demonstrates exactly what researchers think of the companies that supply the antibodies they use in their work. Have you purchased antibodies in the last 12 months and had a really good experience? Make sure you enter the company that impressed you, giving us as much detail as you can, and we’ll put you into a draw for a $250 Amazon voucher. The winner will be notified by the end of January 2017. You can follow the progress of the awards at https://www.citeab.com/awards or on Twitter using the hashtag #AbAwards17.